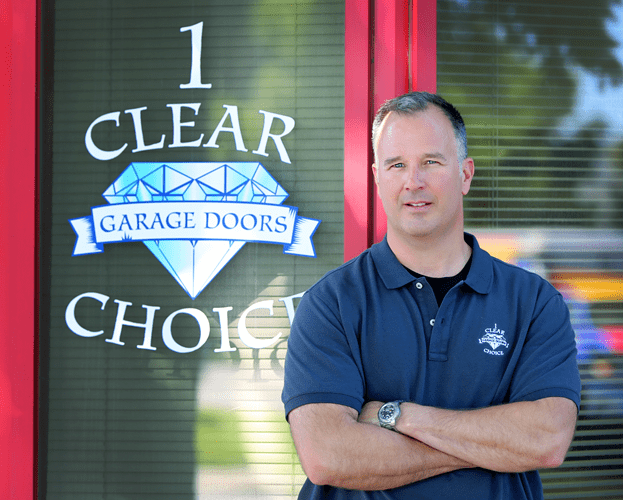 Christopher J. Chapman is the founder and owner of One Clear Choice Garage Doors, one of Denver’s highest rated garage door companies. With Chris’s background being as widely varied as studying to be an oceanographer, working as a scuba diving instructor, and serving in the U.S. Marine Corps, it seems unusual that he ended up as the owner of a garage door company. Clearly, Chris is passionate about what he does. He is dedicated to his community and treats every customer with respect and individual attention. Chris even updates the One Clear Choice Facebook page himself on a daily basis. Garage Door Show Room In Denver, Co.
Garage Door Show Room In Loveland, Co.
Garage Door Show Room In Castle Rock Co.
Garage Door Show Room In Colorado Springs Co.
Garage Door Show Room In Alpharetta, Ga.